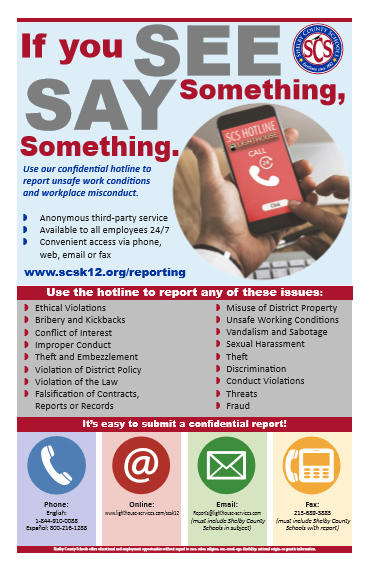 SCS has a new confidential reporting hotline available to District employees that makes reporting workplace misconduct convenient and anonymous. The service is available via phone, web, email or fax. Please find the contact information below.